This collaboration is a liquid representation of the Pacific Northwest craft beer community; a cross-border collaboration between Seattle’s Fremont Brewing and Portland’s Breakside Brewing. We decided to brew this beer for Seattle Beer Week and will release another beer for Portland Beer Week…stay tuned. This bromance beer is named Back To The Future IPA as a nod to the futuristic hops used in each of our releases; Jarylo and Equinox in Seattle and Azaaca and Ella in Portland. So, why did you collaborate? Thanks for asking. We came up with the idea to collaborate while traveling through the Mexican desert on a vision quest search of the little-known but potent Chulo Berry. Although the Chulo Berry eluded us that trip, we decided to dedicate what remains of our very existence to finding that damn berry. And since that idea creeped us out, we decided to brew these beers and chill out. So, pop the top, pour yourself a little adventure and Chill Out as you ride Back To The Future on this magic hop carpet ride! We are having two events during beer week focusing on the collaboration (see attached poster). If you’re curious as to what other events we’re involved in during beer week, you can check our website. Your first chance to try this new collaboration beer is coming up this Thursday at Chuck’s Hop Shop in Greenwood. Can’t make it there? No problem. You’ll also have the opportunity to try it at Fremont Brewing on the 13th. 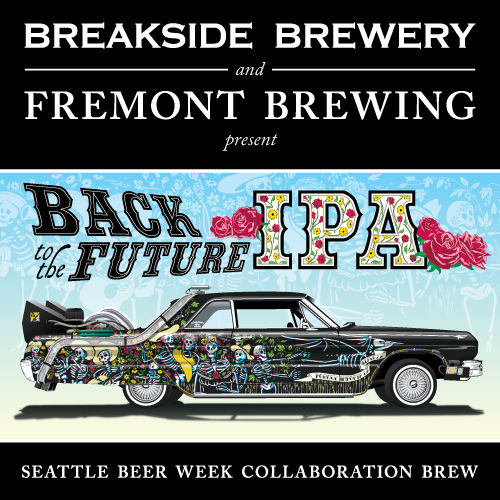 As noted above, there will also be Randalled versions of Back To The Future IPA at Fremont Brewing on the 13th. 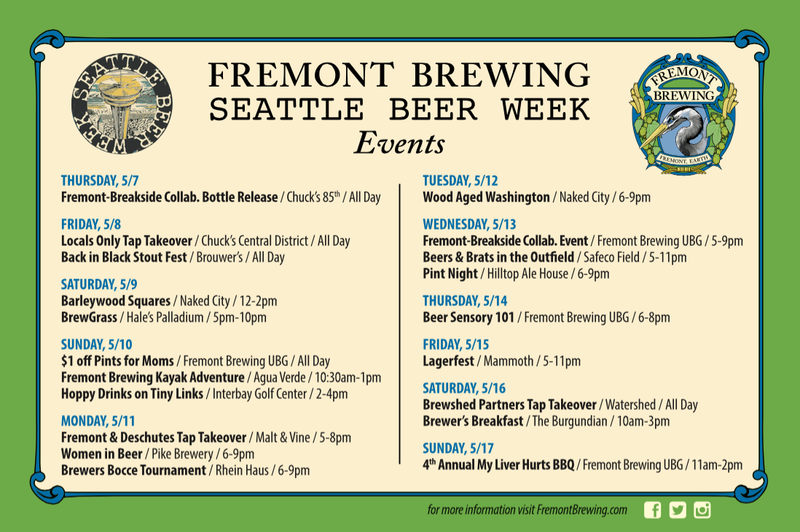 If you haven’t already filled up your Seattle Beer Week calendar, you might want to add one or both of these events to your plans. This entry was posted in Beer, Beer Ingredients, Beer Release, Brewing, Collaboration, Events, Fremont, Greenwood, IPA, Oregon, Portland, Seattle, Spring, Tasting, Washington, Washington Beer and tagged 2015, beer, Beer Release, Breakside Brewing, Fremont Brewing, May, Oregon, seattle. Bookmark the permalink.